This is an absolute blast for kids and adults of all ages! 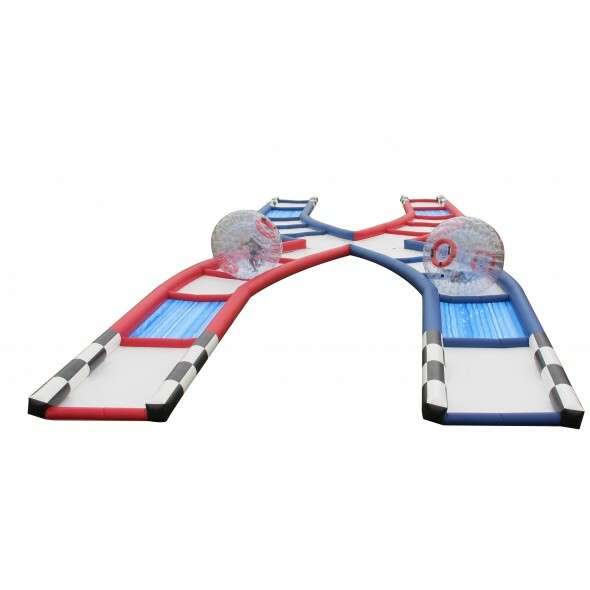 The course can competitively accommodate 2 spheres at a time. The operator as well as spectators can stand near the middle of the game and have a clear view of the players as they race to victory lane. Hours of fun!